FROM ROUTE 81 TAKE EXIT 5A, HALFWAY BLVD., EAST. TURN LEFT ONTO MASSEY BLVD., GO .2 MILES AND MAKE LEFT ONTO RAILWAY LANE. GO .2 MILES AND MAKE LEFT ONTO UNDERPASS WAY. SSA OFFICE IS ON THE RIGHT IN THE REAR OFTHE BUILDING. 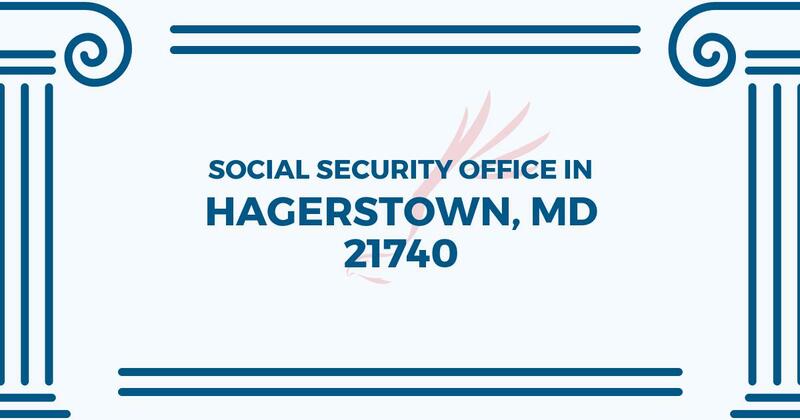 The Hagerstown Social Security office is located in Hagerstown 21740. The following page includes information for this location like the office phone number, hours of operation and driving directions. If you have any interests or comments about your retirement benefits or are interested in making an appointment, call the following Hagerstown Social Security office. The Hagerstown Social Security office is located in Hagerstown 21740. The following page includes information for this location like the office phone number, hours of operation and driving directions. If you have any inquiries or doubts about your Medicare benefits or are interested in arranging an appointment, call the following Hagerstown Social Security office.